the rescue report: Meet Pete! Meet Pete! Pete is a people-bird who needs a person to call his own! Pete was rescued as a baby and kept for four years and then owner-surrendered to Peninsula Humane Society where, after timing out without being adopted, he was facing euthanasia unless MickaCoo took him into foster care. 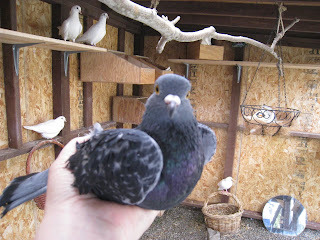 Pete was picked up April 2, 2011 by MickaCoo volunteer Cheryl. He lived for a couple of months in her big, beautiful aviary but instead of loving it like the other birds do, he just wanted to be with Cheryl. Pete thinks of himself more as a person than as a bird. Pete has charmed a lot of folks but he has yet to find that special person that will be his. 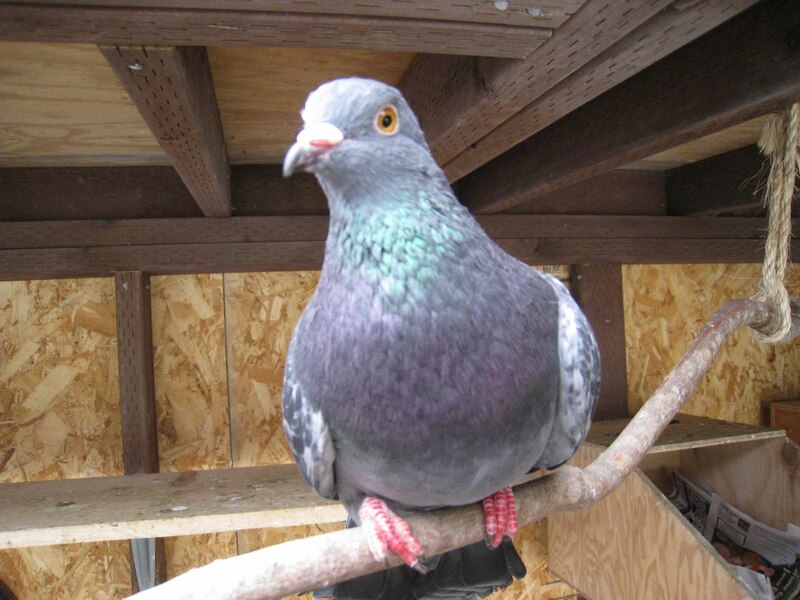 Pete even had the chance to fall in love with the beautiful and rich rescued homing pigeon Mandee but he really prefers a human to a pigeon mate. 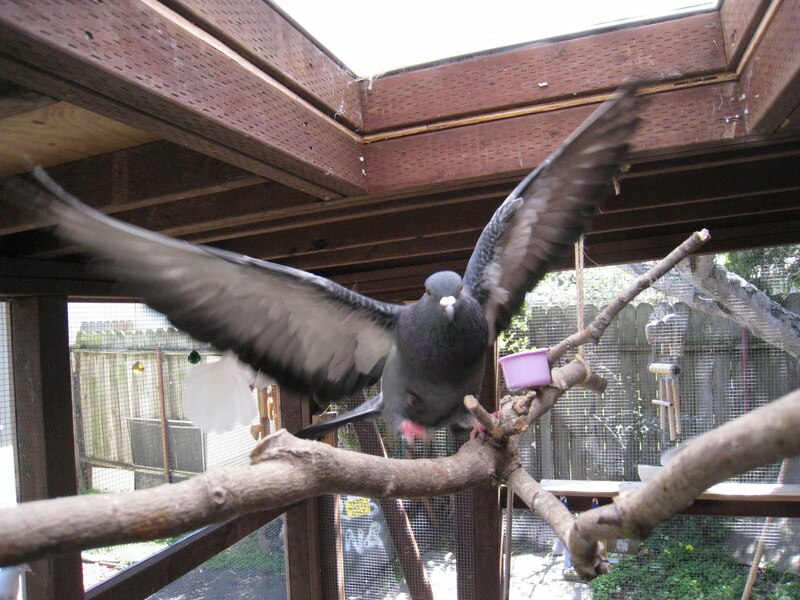 Pete had a great summer as one of the SF SPCA's foster birds where he was a star in their Humane Education Summer Camp program. But the program is ending and now he needs a person to call his own. Do you or somebody you know need a special friend to sit on your shoulder (or head) and help bring lots of fun to your day? Please share this link (http://www.rescuereport.org/2011/08/meet-pete.html) and help us find Pete the person he needs. 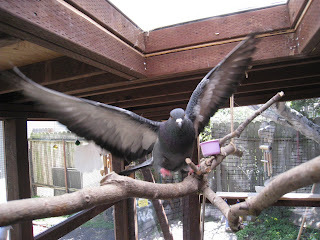 To apply to adopt Pete or any of MickaCoo's foster pigeons and doves, please complete our online adoption application. Thank you!